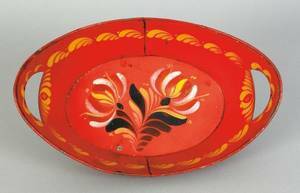 Carved and painted "St. Claus" wagon. 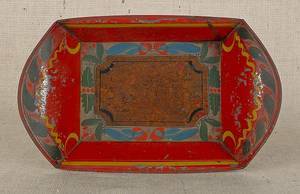 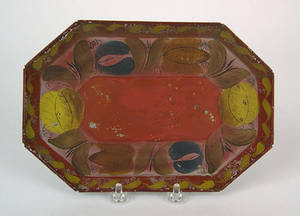 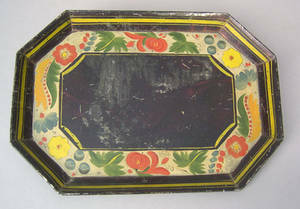 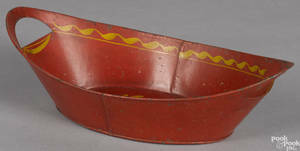 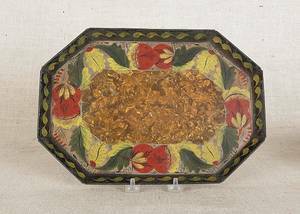 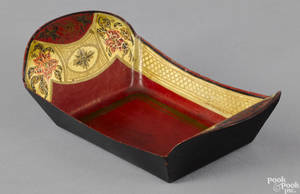 Red tole octagonal tray with green, yellow and ochre floral and fruit design, 8 3/4" l. Provenance: Titus Geesey. 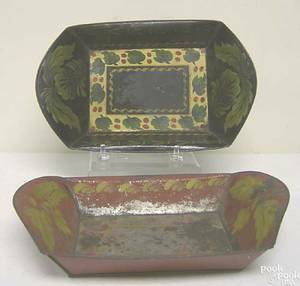 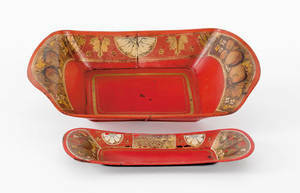 Tole bread tray and snuffer tray, 19th c.